The experience of a separation can be very lonely. If you are in the process of a separation, what you are going through is a unique tragedy to you, and no other person in the world is experiencing exactly what you are. But while you grieve, it is also important to acknowledge that your children are at risk of complete emotional compromise. At New Direction Family Law, we have worked for more than two decades assisting people seeking separations and divorces, and we understand that the end of a marriage creates trauma for the entire family, including children. When separating, we hope that the following ideas may help you and your children stay on a healthy track toward the future. Consider individual therapy and other forms of self-care. While it sounds cliché, it is critical to help yourself before you can help your child. Even while you suffer, you children still need you. It is critical to be in an appropriate emotional and mental state to meet your children’s needs. While you may have no desire to communicate or cooperate with your spouse, it does children a world of good when their parents can co-parent in a healthy manner. Remember that your children are experiencing a loss, and that this period of time will have a lasting psychological impact on them. It makes a bad situation worse for children when parents continue to fight or disparage each other during the period of separation. Consider speaking with a family counselor and seeking age-appropriate therapy for your children. Before you and your spouse tell the children about your decision to separate, consider speaking with a professional for advice about how to explain the separation in an honest, age-appropriate manner. Also seek a referral for continued therapy for your children. Continue to have honest conversations with your children. It is also important to avoid making false promises, as children will remember and lose trust. Provide a new sense of normal for the children. This means attempting to reach an agreement as to temporary child custody and where the children are going to live. The less disruption, the better. The first preference should be for the children to continue to live where they are, to continue going to the same school and participating in the same extracurricular activities, and seeing their friends. Allow ample visitation between the children and your spouse. This is important. Unless the other parent is somehow unfit, it is important for the children to maintain a relationship with their other parent. Losing that relationship and losing that contact is something that your children should not have to experience. Explain the children’s situation to family, friends, and their school. 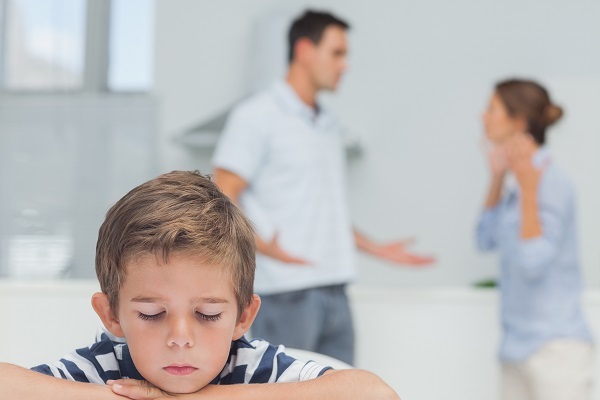 While it is not necessary to spill all of your business, the children should not be placed in the position of continuously explaining their parent’s separation to everyone they interact with. In addition, it is important to be mindful of how you speak with these people. It really does not help you or your children to try to get their teachers and counselors “on your side”. Remember, their job should be to focus on teaching and helping your children. If you are considering separation, contact New Direction Family Law. There is no time more critical than the present to make plans for yourself and for your children’s future. With more than twenty years of legal experience assisting parents and their children, we will listen to you and provide you thoughtful, comprehensive guidance. Call our office at (919) 719-3470 to schedule an appointment, or visit our website. We serve Wake, Johnston, Lee, Harnett, Cumberland, Nash, Granville, Franklin, and Durham counties.